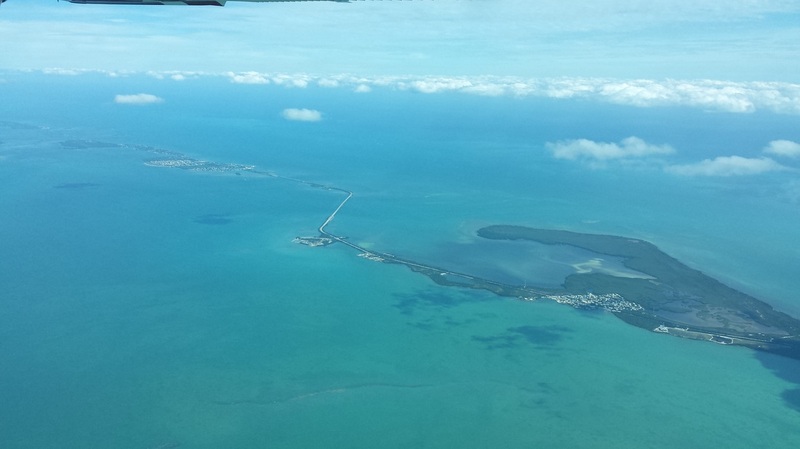 My husband Jared and I flew to the Florida Keys from our home base in Houston, Texas, and it was a great trip. 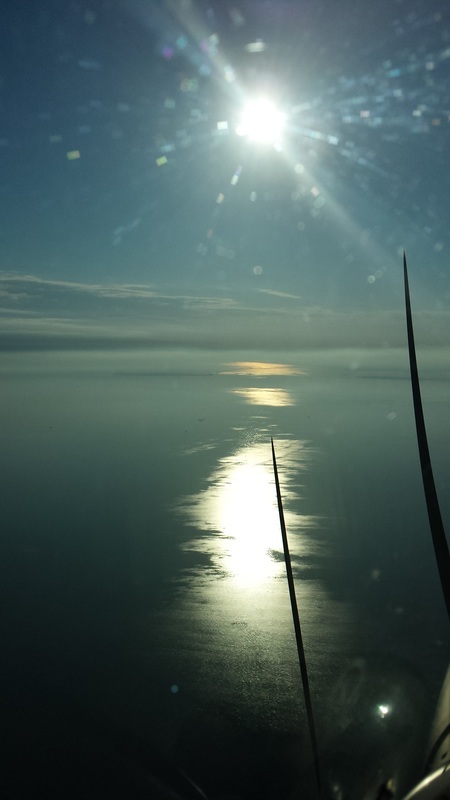 We flew low and slow a total of 20.1 hours roundtrip in a C172N and we absolutely loved every minute of it. 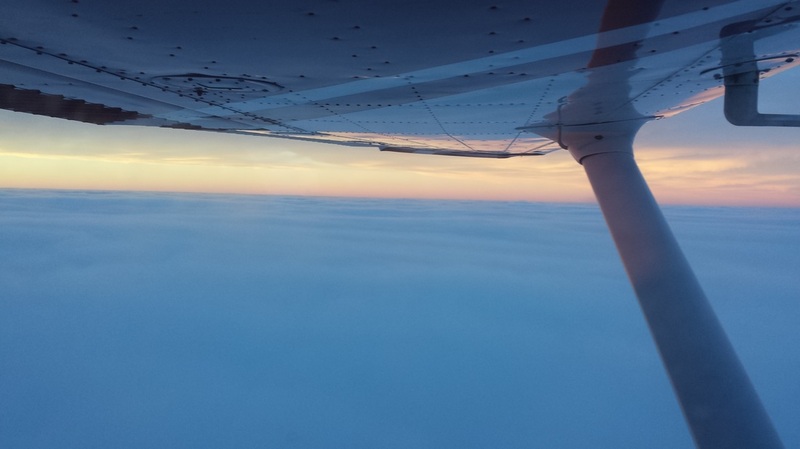 My husband is an airline pilot so he is certainly used to long cross-country trips but this was essentially his first one in a general aviation aircraft. 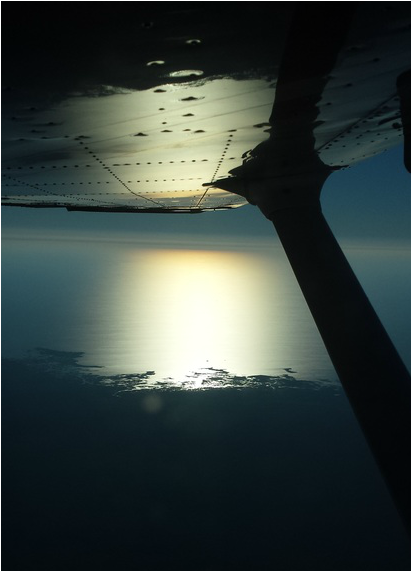 We really could not have made it to all the areas we visited if it wasn’t for general aviation aircraft and we did it at our own pace and schedule, stopping where we wanted to and when we wanted to, and the best of all… all in 3D and mostly with good weather. We visited beautiful parts of the country during our week off. 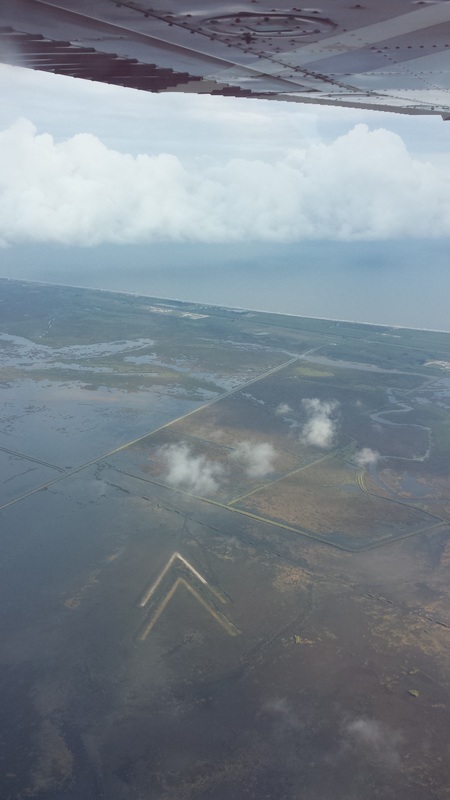 Although the terrain was mostly flat given the states we visited (TX, LA, MS, AL, and FL), it was interesting to see the different types of agriculture, land, swamps, islands, rivers, sunsets (no, we did not fly early enough to see sunrises… we were on vacation after all…), water colors, sand colors, etc. not to mention the weather patterns, too. We also enjoyed spotting and identifying airports along the way. The 172 we flew burned about 10 gallons an hour. 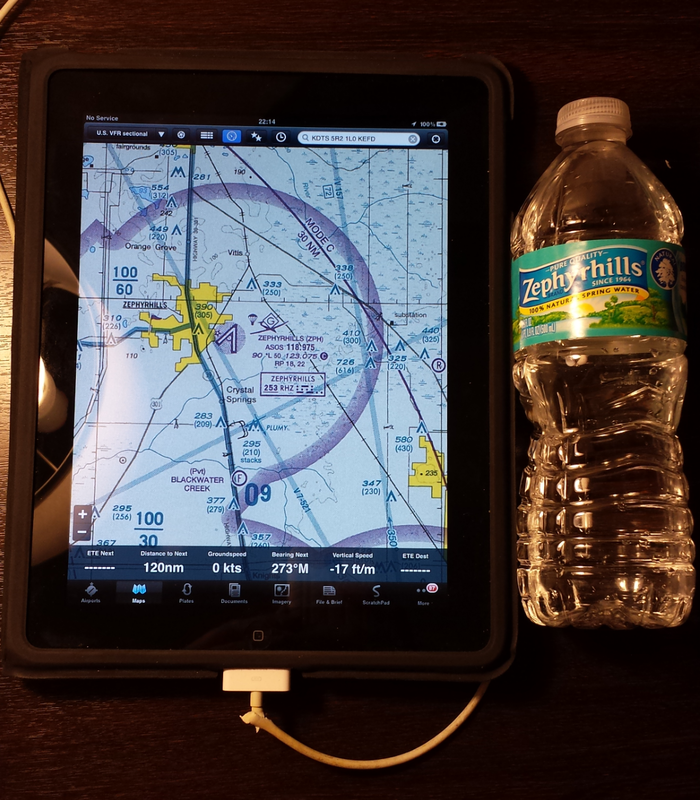 With a 40 gallon tank, we calculated we were comfortable flying it a maximum of three hours a leg. That being said and given the winds aloft, our route there was EFD – PNS (our longest leg), PNS – LAL, and LAL – FD51. This alone accounted for 9.3 hours of flying. We left Saturday, October 19, after I participated in Conroe, TX’s Challenge Air event, an event designed to build self-esteem and confidence in children and youth with special needs through the experience of flight. I really enjoyed my time with the kids at the event… it is just great to see the “before and after” taking the flight. Challenge Air was recently the recipient of one of AOPA’s Giving Back grants, too: http://www.aopa.org/News-and-Video/All-News/2013/September/18/Giving-Back-grant-recipients.aspx. 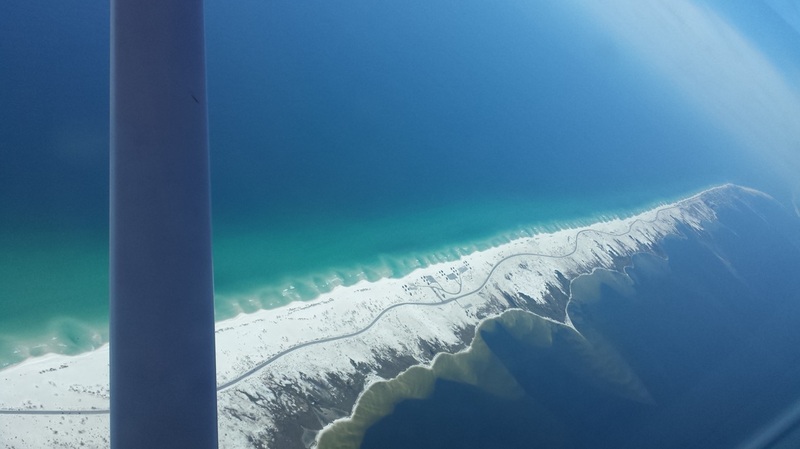 Because we left Houston quite late in the afternoon, we decided to fly just one leg and spend the night in Pensacola, FL. 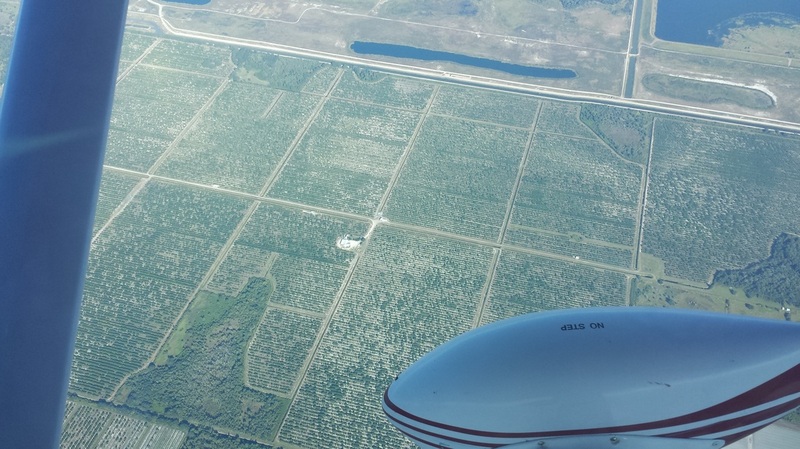 By the way… Pensacola Aviation Center gives $0.25 fuel discounts to AOPA members. It felt great to be an AOPA member! The next day, we flew the rest of the way to our destination airport by way of Lakeland, home of Sun ‘n fun, where were stopped for lunch at the on-site restaurant. 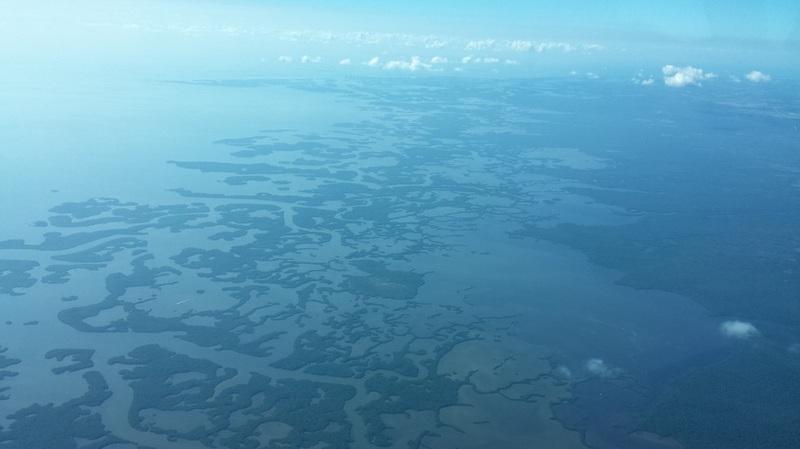 The flight down from Lakeland was quite spectacular: over the Everglades and down the Keys. 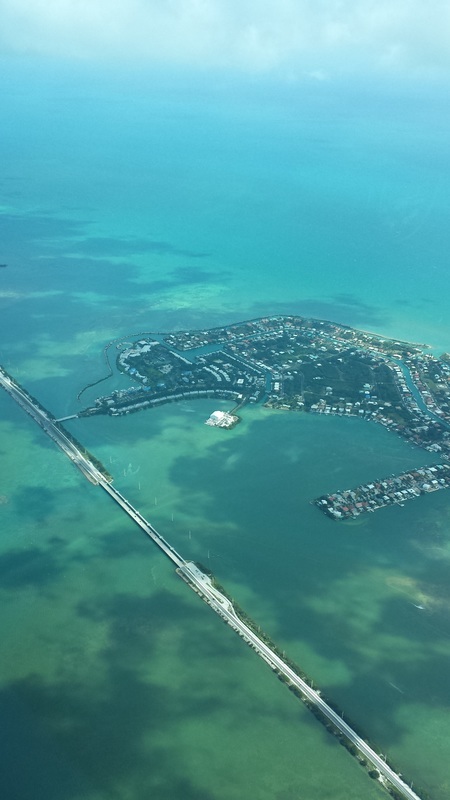 Our destination airport was FD51 – Summerland Key Cove, a private airport between Marathon and Key West, which may be the only airport in the world where airplanes and flying is on one side of the house and salt water boating on the other. Pretty sweet, right? I loved that little (literally) airport! 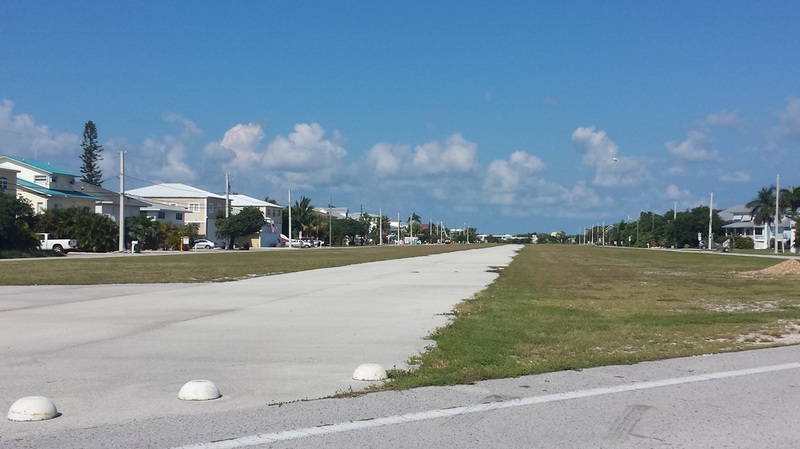 The runway is 2,550 ft long but only 26 ft wide. Making the numbers was rather important here! Also important was to watch for the balloon in R-2916. 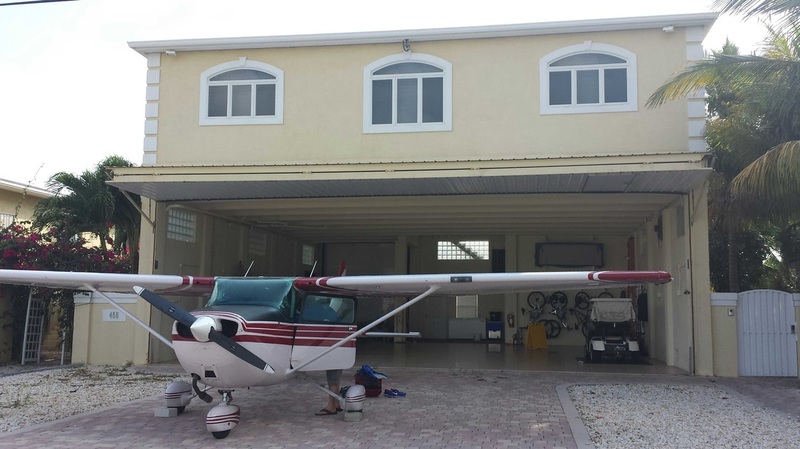 ​A friend of ours let us use his beautiful house at the airport and the experience of flying into the house was phenomenal. 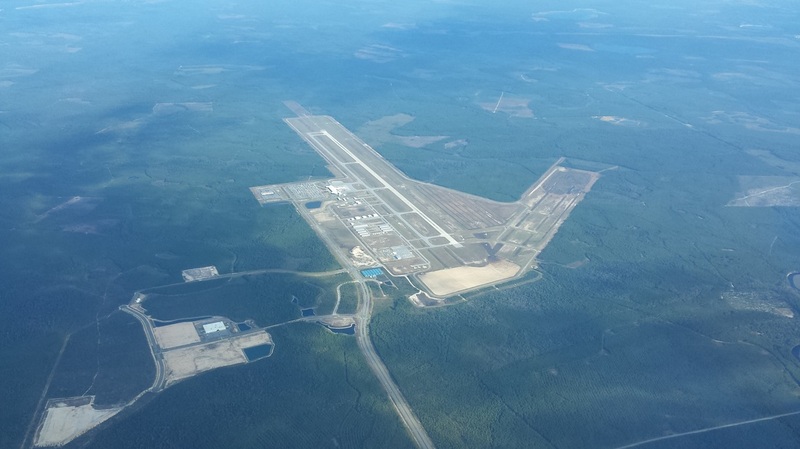 One day… we’ll live on an airport community. 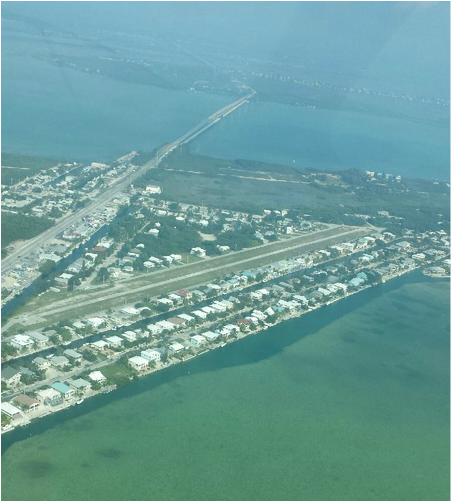 ​The rest of the week, between our arrival and our departure, was your typical Florida vacation. 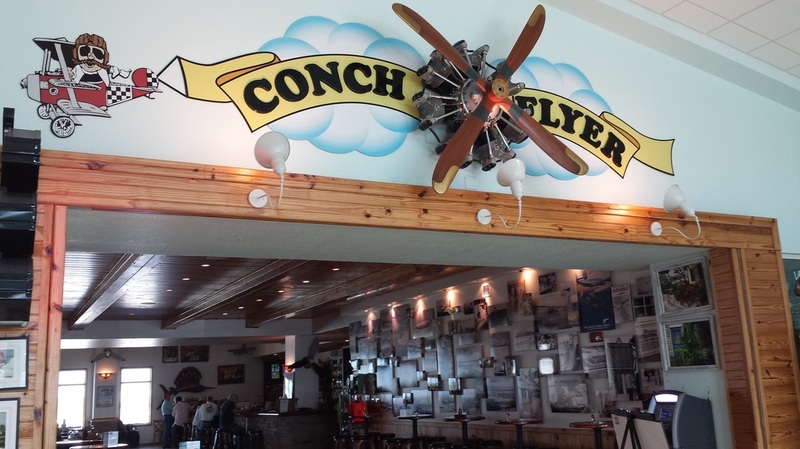 My husband also took me to the Sugarloaf airport where they conduct skydiving operations and the Conch Flyer restaurant at the Key West International Airport (EYW) to watch airplanes. 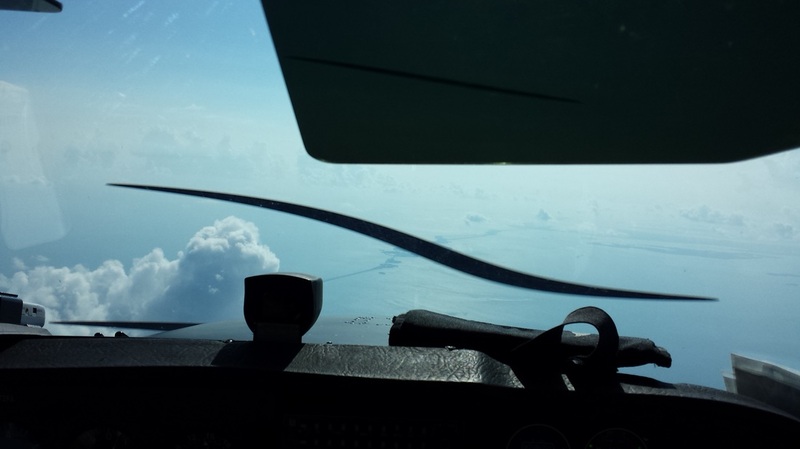 And, the day prior to our departure, we were walking around downtown Key West when we hear a fast moving airplane… we look up (what else would pilots do, right?) and it was no one else than Skip Stewart’s airplane! Alright! =) I contacted Skip via Facebook and he told us his ferry pilot Raymond Cabanas was just having a little fun. Awesome! 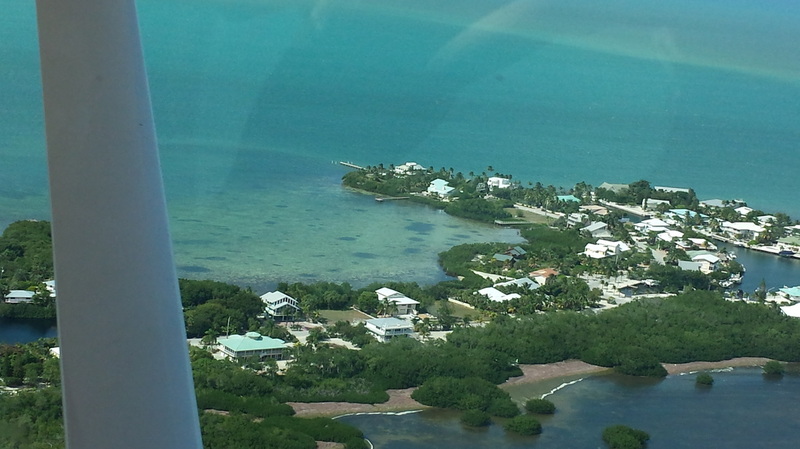 The only regret I have from our trip to the Keys was not flying a seaplane but the winds picked up tremendously towards the end of our stay. 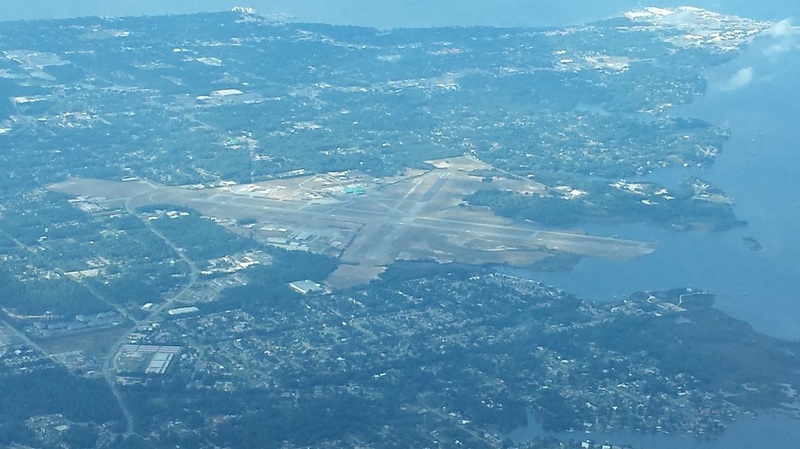 Our route back was FD51 – MTH – BKV – DTW – LFT – EFD. That amounted to 10.8 flying hours. FD51 does not have fuel onsite so we had to relocate to MTH – Marathon to fill up. 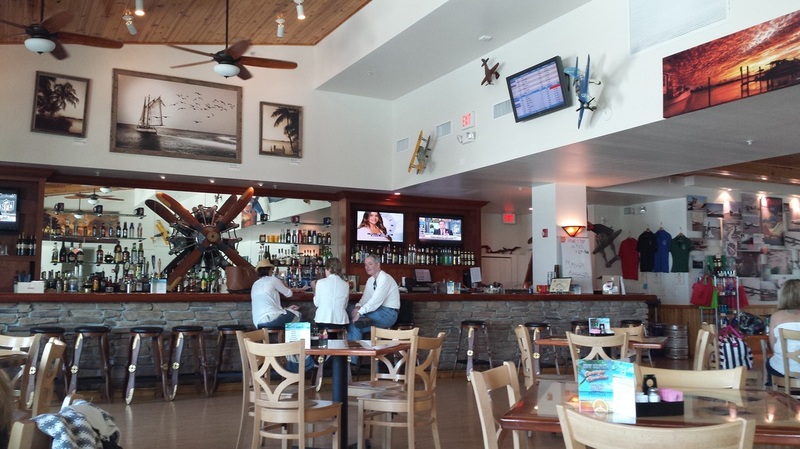 While we were there, we went to lunch, quickly visited the EAA Air Museum, and then headed to BKV – Hernando County Airport. The controller at BKV was the sweetest controller. 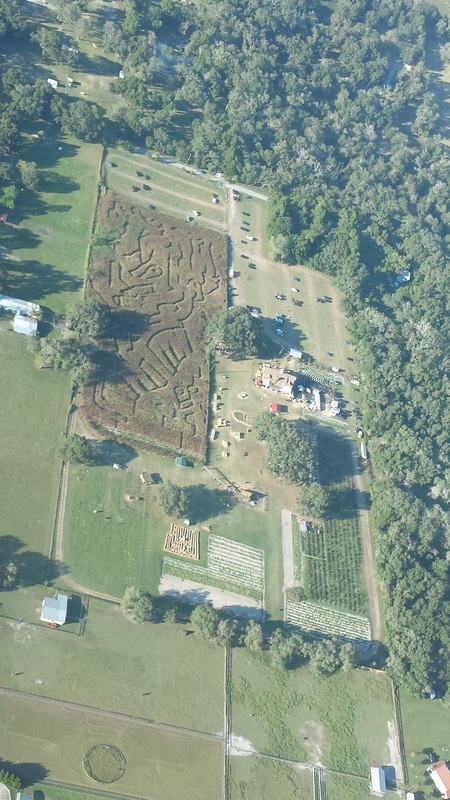 Upon departure, we asked if we could overfly the approach end of runway 3 to take a picture of a corn maze. 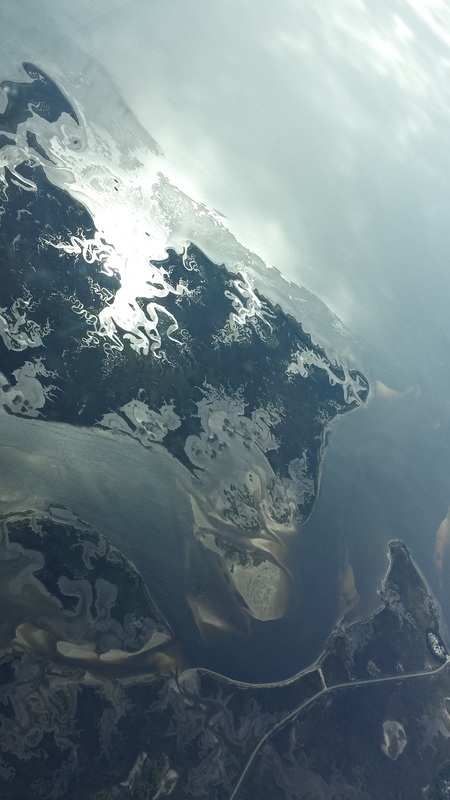 He asked how it looked from the air and we joked with him that we had the exit plan. He called us cheaters, ha! =) He also asked us how long the flight to Destin was and we told him “two hours.” He is going to make that flight himself soon, he added. 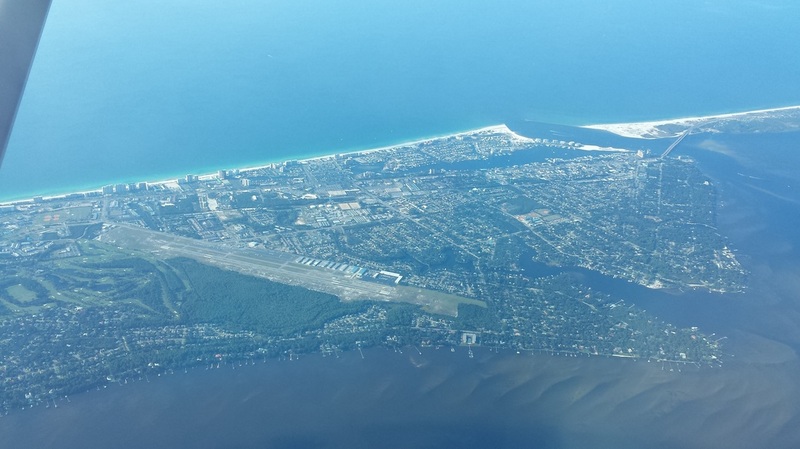 It beats the almost six hour drive and I do not believe there is a direct flight from Tampa (closest commercial airport to Hernando County) and Destin (and, even if there is, that is not to DTS but rather to VPS which is quite far from downtown Destin and the beach). Oh, by the way, did you know that Zephyrhills, FL makes its own natural spring water? 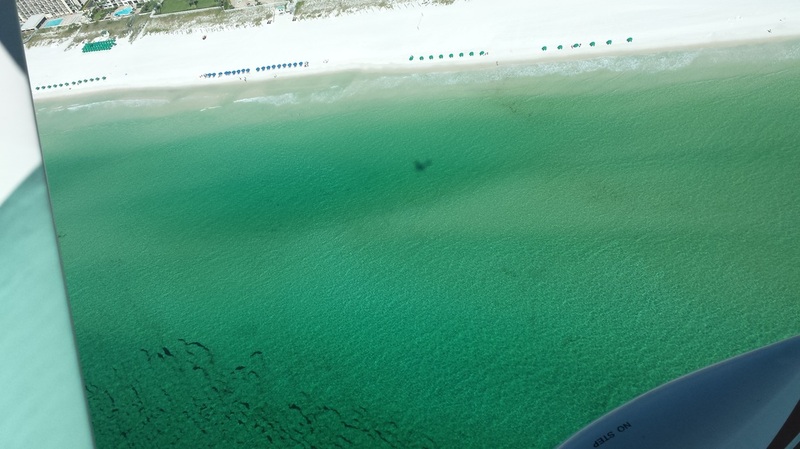 We arrived in Destin right after sunset, just in time for dinner with one of our pilot friends there. A nice walk on the beach the next morning and we head to LFT – Lafayette, LA for one of the best Cajun restaurants – Prejean’s. 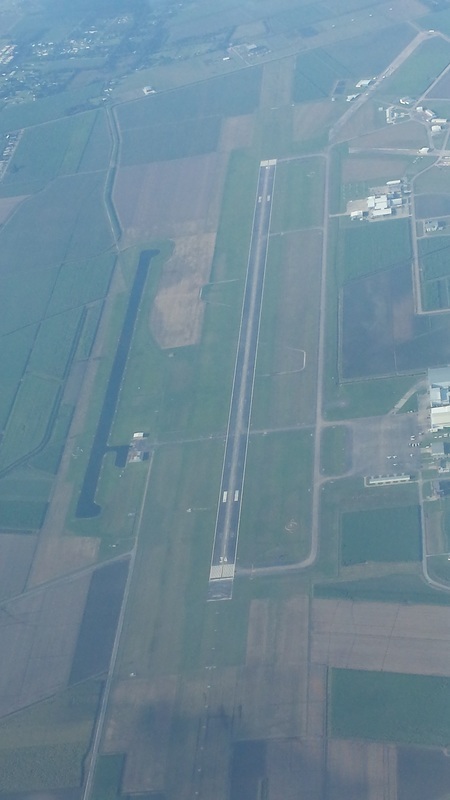 Our destination airport, Ellington Field (EFD), was having the Wings over Houston airshow that day so we waited in LFT long enough to ensure that we would arrive in EFD past 5 pm when the airport opened. Well, that was not a problem. We had such terrible headwinds on the last leg that we barely hit 100 kts of groundspeed on descent! Ouch! 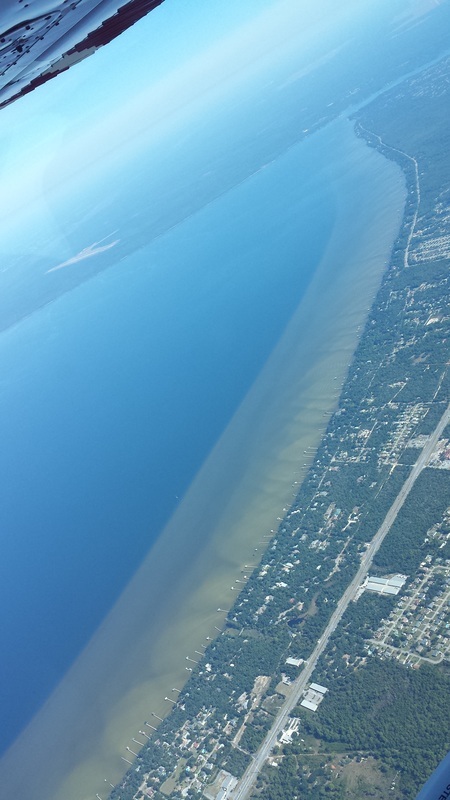 ​We truly had a great trip and general aviation and flying was really what made it all worth it and fun. I will also tell you that, through Twitter, I tried to show the value of our trip to the local community where we stopped because, as you can imagine, we spent quite a bit of money on fuel, lodging, food, ground transportation, etc and that has a great impact to the local economy. Here is an example of that work after the completion of our trip. 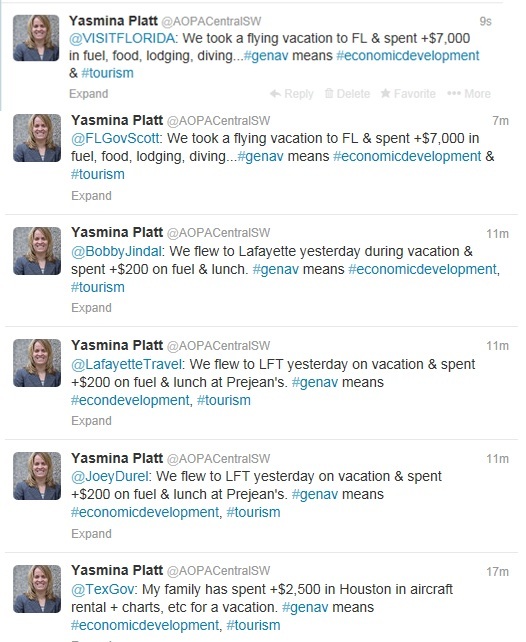 I sent tweets to the governors of TX, LA and FL as well as Florida’s Office of Tourism, Lafayette’s (Louisiana) official source for tourism, and Lafeyette’s City-Parish President. If nothing else, my intention was to bring general aviation to their attention and what an airplane flying in brings to their community besides noise.